As you can see from the map below, this wine comes from the northwestern part of the Alessandria province, in the Monferrato hills, one of the Piedmont wine districts; and by Italian law, only four municipalities can produce it: Moncestino, Villamiroglio, Camino and Gabiano. Gabiano also produces its own wine: Gabiano DOC which we'll present after our event in September. Cantavenna is a hamlet of Gabiano. 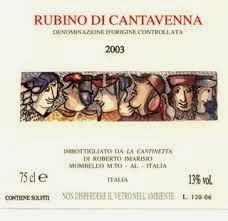 Rubino di Cantavenna is a very versatile wine that can be enjoyed with many foods! As all the Piedmont wines, Rubino perfectly matches the local specialties: white truffles, meats, roasts, mushrooms and aged cheeses. However, keep in mind that Rubino goes well also with simple dishes like cured meats, pasta and risottos. As for the meats, despite the fact that Piedmont is a beef breeding region, poultry, rabbit and stews will be a great match too. 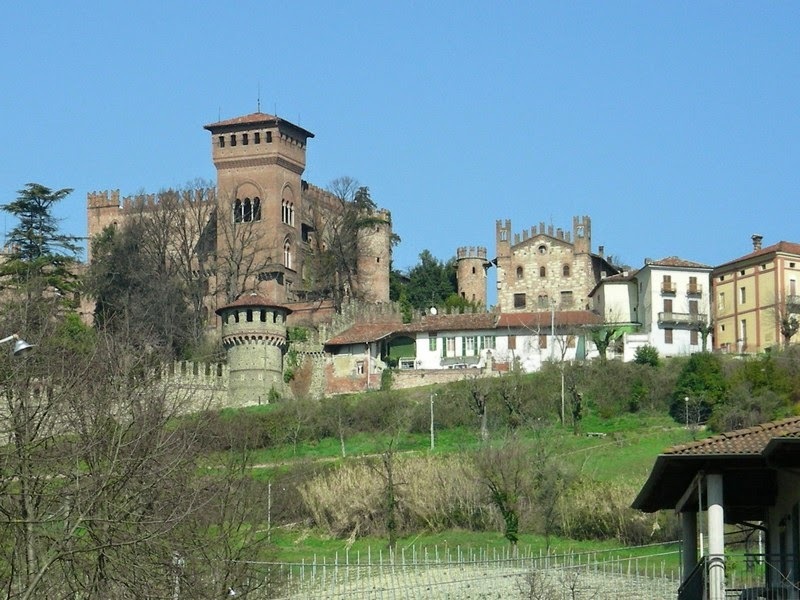 Just imagine, savoring the local specialties right in the Gabiano castle, looking at the vineyards while sipping Rubino di Cantavenna in all its variants! 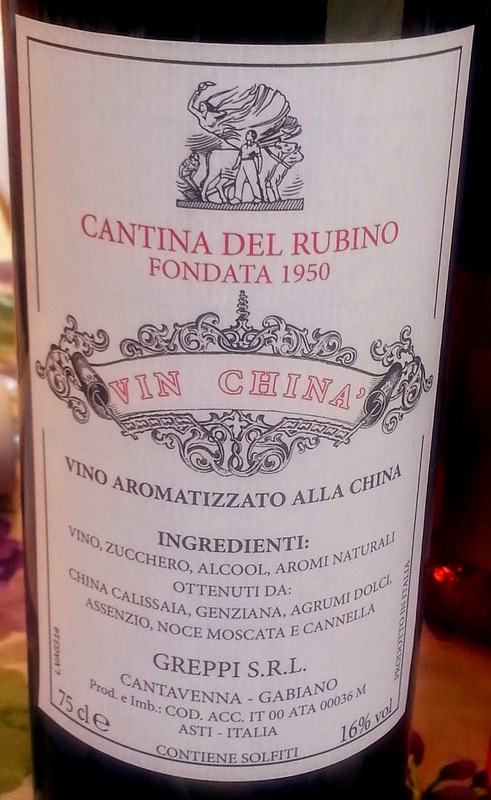 In fact, "regular" red wine isn't the only version of Rubino di Cantavenna as there are also a Rubino chinato, a Rubino barricato and a grappa di Rubino. Just like Barolo chinato, Rubino can also come chinato that is to say as an after dinner digestive liqueur. It is made by steeping the cinchona tree bark from South America into the wine and other spices and herbs, this label indicates: china calessaia, gentian, sweet citrus fruits, absinthe, nutmeg and cinnamon. However, each producer has its own personal recipe for this aromatic and smooth wine and if you compare both Barolo and Rubino chinato you'll savor their similarities and differences! As you can easily tell barricato comes from barrique, the small (usually) oak barrel where some wines age. In these cases, during its slow aging process, the wine absorbs all the aromas of the wood, becoming smoother and more balanced. As you can imagine, the bouquet of these wines is highly enhanced! Finally, when everything seems to be already used to make wine, the stalks are empty and the grapes have already macerated, a delicious grappa can still be made! Grappa di Rubino is soft and dry to show us that even after our death, our spirit keeps our talents alive! So mark this one down too, it will amaze you!